The Three Stooges — The comic book! COMICS is a comic book biography series about stand-ups, sitcom stars and comedians who have made a huge impact on popular culture. From Moe Howard’s childhood acting days during the dawn of the film industry to the very last Curly and beyond, Bluewater Comics recounts the story of one of the funniest and longest running troupes in comedy history. 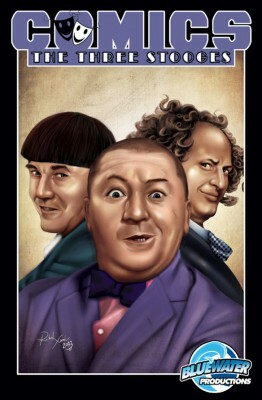 “COMICS: The Three Stooges” was written by Jaymes Reed with illustrations by Apriyadi Kusbiantoro. Due out in January 2011, the book will sell for $3.99. An advance digital copy is now available on the NOOK and Kindle. Also now available is “Female Force: Tina Fey” and “Political Power: Jon Stewart”. Since 2008, Bluewater Comics has worked with icons of science fiction such as Adam West, William Shatner, William Nolan, Walter Koenig, Roger Corman, Ray Harryhausen, and the estate of Vincent Price to share tales of heroes, horrors, mythology and fun. Besides making a name in comic books, Bluewater offers workshops for schools and libraries to help make reading fun for younger readers. Bluewater strives to make to do this with their bio-comic titles “Female Force,” “Political Power,” “Fame,” “Infamous” and “Faith Series” as well as working with icons of the literary world such as S.E. Hinton and John Saul. 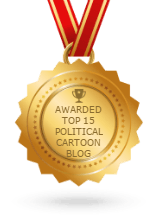 Bluewater’s comic books have been featured on CNN, The Today Show, BET, Fox News and in “People” Magazine as well as thousands of other places.